If you’re starting your GMAT preparation more or less from scratch, and have three months to prepare, this study plan will help you get organized. This plan covers the full range of Magoosh lessons on all topics, from the format of the GMAT to advanced concepts. I designed four different versions of the Three Month Plan, and I need you to start with a little self-diagnosis. Which sounds most like you? 🙂 If it would help you decide, you can take the Magoosh GMAT Diagnostic Test. 3 Month GMAT Study Schedule for Beginners: Help! Math and verbal both scare the living bejeebers out of me! I need all the help and support I can get! 3 Month GMAT Study Schedule for Advanced Students): I actually feel reasonably comfortable with math & verbal; if I took the test today, I’d get around 600-650. I’m interested in refining my understanding, and getting into the upper 700s region in the next twelve weeks. FAQ: This is a beginner’s plan: should I follow this plan if I want to get a 700+ score? This plan covers the full range of Magoosh lessons on all topics, from the format of the GMAT to advanced concepts. If you follow this plan diligently, all the information you will need for an elite +700 score will pass before your eyes. How well you do will depend on everything you bring: how quickly you learn, how deeply you remember, how well you assimilate and integrate, how astutely you discern connections, how diligent you are, how conscientious you are, and how dedicated you are. See this blog for more about getting the most out of a study plan. Do you need to adapt this study schedule to meet your needs? Check out this blog post for adjustment tips! 8) Any single volume of the 9-volume Manhattan GMAT series. These books are about the best material available in hard-copy print form. Pick the volume you think would help you the most, whether Math, Critical Reasoning, Reading Comprehension, or Sentence Correction, and either use it as a reference book or work through it anywhere you can fit it into this plan—during extra time on various Day Sixes, for example. The primary reason you are getting this volume is to get the code in the inside back cover: that code will give you access to one MGMAT online GMAT CAT, which you will take later in this plan. (See the note below on “Practice Tests During This Plan”). 12) A good 2-3 hours a day, for five days a week, and then a good 4-5 hour stint on the weekend (“Day Six”) — with a day off on the weekend as well. If you would rather free up some week nights, and move some of the material into the other weekend day, you are welcome to do that. Note: Many folks find that each day’s assignments take 1-2 hours, although times to complete them will vary for different students. 13) Magoosh’s free Study Timer app for iPhone/iPad for timing yourself on exam sections and keeping yourself on pace. Currently only available in iTunes. 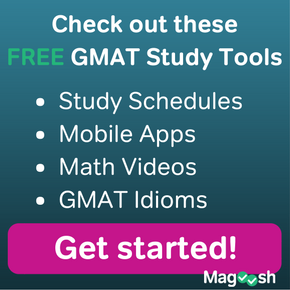 13) Magoosh’s Complete GMAT Guide: This comprehensive web-based guide to the GMAT exam gives you the quick but useful overview you need to understand this test. You’ll see how the GMAT is designed and scored, what skills it tests, how to find and use the best GMAT prep, and how to study for each test section. 14) A guide to GMAT Practice Test Resources: This page includes instructions on where to find good full-length GMAT practice tests, and how to take practice tests and incorporate them into your studies. We understand you may want to “look before you leap” and learn more about these resources before you spend your time and money on them. 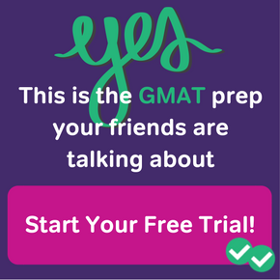 So we’ve made a set of reviews of GMAT prep resources in this study guide. 1) If you don’t foresee yourself taking more than 2-3 practice tests, then get the single MGMAT book for a single MGMAT practice test, and take this on any Day Six. Fill the other Day Sixes with any studying you think would most benefit you, and take the two GMAT Prep tests at the end. 1) Go to https://www.mba.com/exams/gmat/about-the-gmat-exam/gmat-exam-structure, and read about the structure of the GMAT. Click on each subsection on that page, to read about the individual sections. 2) Take the Diagnostic Test, found toward the beginning of the OG. Grade it, but you don’t have to read through all the explanations today. If you did much much better than you expected in either math or verbal, you may choose to re-evaluate which version (A, B, C, D) you are following. 3) In the Magoosh GMAT Math Flashcards, start learning the cards in the first deck, the Algebra deck. Spend 10-15 minutes with these cards. 5) In the Magoosh GMAT Math Flashcards, continue learning the cards in the first deck, the Algebra deck. Spend 10-15 minutes with these cards. 4) In the Magoosh GMAT Math Flashcards, continue learning the cards in the first deck, the Algebra deck. Spend 10-15 minutes with these cards. Because there are dozens of different ways one might choose to implement the recommendations of these four “stress reduction” blogs, this schedule does not itemize any specific tasks along these lines. Nevertheless, insofar as you can practice some of these habits consistently over the twelve weeks, you will be very good shape to handle the anxiety of test day. Study the cards in the first deck, Basic I. NOTE: After the Intro to Data Sufficiency module, some of the opening modules are very basic math. This plan is designed for someone who needs to watch every single video. If you feel you know some of this basic concepts well already, be your own judge: don’t force yourself to sit through a math lesson in which you know everything. You can click ahead, and just check the summary at the end to make sure there was nothing you needed. If an entire module looks basic to you, then you could just take the quiz at the end: if you ace the quiz, you probably don’t need to sit through the module. You can always go back later and brush up on one thing you missed. Skipping some videos will put you ahead in the schedule, and you will have more time to review video lessons at the end. 3) In the Magoosh GMAT Math Flashcards, start learning the cards in the second deck, the Fractions, Ratios, and Percents deck. Spend 10-15 minutes with these cards. 4) Spend at least 30 minutes on the outside reading of your choice; once again, see this blog article for suggestions of what to read. Reading is the very best way to develop instincts for the way writers use language in the business world. Pay attention to sentence structures. Pay attention to arguments. Pay attention to main ideas & roles of paragraphs. 5) Mental Math Practice: This is more a general reminder than a thing to do specifically on this day. As is mentioned in the Intro to Math lesson videos, you should practice mental math every day. Practice adding & subtracting two (or three) digit number in your head every day. Practice all one-digit times one-digit products, and practice some one-digit times two-digit products in your head every day. In everyday life, look for opportunities to do mental math: compute tips at restaurants; figure out percents; calculate approximate gas mileage of your car; estimate distance, lengths, areas, and volumes. If a friend is willing, have your friend hold a calculator and quiz you on various calculations. All of this will be uncomfortable at first, but as with any athletic training, the more your practice, the easier it will become. We want you in championship mental math form by test day. 3) In the Magoosh GMAT Math Flashcards, continue learning the cards in the second deck, the Fractions, Ratios, and Percents deck. Review cards from this and the previous deck. Spend 10-15 minutes with these cards. 4) Spend at least 30 minutes on the outside reading of your choice. Pay attention to sentence structures. Pay attention to arguments. Pay attention to main ideas & roles of paragraphs. NOTE: as you finish with math & verbal lesson modules, you will see quizzes at the end of the module. Take each quiz, and if you don’t pass, keep restudying and retaking the quiz until you can pass it. Study the cards in the second deck, Basic II. As time allows, review cards from the earlier Idiom deck. 3) In the Magoosh GMAT Math Flashcards, start learning the cards in the third deck, the Geometry deck. Spend 10-15 minutes with these cards. 5) Remember this week to continue doing Mental Math Practice. See the description at Week Two, Day One. 3) In the Magoosh GMAT Math Flashcards, continue learning the cards in the third deck, the Geometry deck. Review cards from this and the previous decks. Spend 10-15 minutes with these cards. Study the cards in the third deck, Advanced I. As time allows, review cards from the earlier Idiom decks. 3) In the Magoosh GMAT Math Flashcards, start learning the cards in the fourth deck, the Number Properties I deck. Spend 10-15 minutes with these cards. 3) In the Magoosh GMAT Math Flashcards, continue learning the cards in the fourth deck, the Number Properties I deck. Review cards from this and the previous decks. Spend 10-15 minutes with these cards. Study the cards in the final deck, Advanced II. Do a thorough review of the cards from the earlier Idiom decks. 3) In the Magoosh GMAT Math Flashcards, start learning the cards in the fifth deck, the Number Properties II deck. Spend 10-15 minutes with these cards. 3) In the Magoosh GMAT Math Flashcards, continue learning the cards in the fifth deck, the Number Properties II deck. Review cards from this and the previous decks. Spend 10-15 minutes with these cards. 1) Using the code in the back of the MGMAT volume you bought, log into the MGMAT website and take the first online MGMAT CAT test. 3) In the Magoosh GMAT Math Flashcards, start learning the cards in the sixth deck, the Statistics and Probability deck. Spend 10-15 minutes with these cards. 3) In the Magoosh GMAT Math Flashcards, continue learning the cards in the sixth deck, the Statistics and Probability deck. Review cards from this and the previous decks. Spend 10-15 minutes with these cards. 3) In the Magoosh GMAT Math Flashcards, start learning the cards in the seventh deck, the Mixed Practice I deck. Spend 10-15 minutes with these cards. 3) In the Magoosh GMAT Math Flashcards, continue learning the cards in the seventh deck, the Mixed Practice I deck. Review cards from this and the previous decks. Spend 10-15 minutes with these cards. 3) In the Magoosh GMAT Math Flashcards, start learning the cards in the eighth deck, the Mixed Practice II deck. Spend 10-15 minutes with these cards. 3) In the Magoosh GMAT Math Flashcards, continue learning the cards in the eighth deck, the Mixed Practice II deck. Review cards from this and the previous decks. Spend 10-15 minutes with these cards. 3) In the Magoosh GMAT Math Flashcards, start learning the cards in the ninth deck, the Mixed Practice III deck. Spend 10-15 minutes with these cards. 3) In the Magoosh GMAT Math Flashcards, continue learning the cards in the ninth deck, the Mixed Practice III deck. Review cards from this and the previous decks. Spend 10-15 minutes with these cards. 3) In the Magoosh GMAT Math Flashcards, start learning the cards in the tenth deck, the Mixed Practice IV deck. Spend 10-15 minutes with these cards. 3) In the Magoosh GMAT Math Flashcards, continue learning the cards in the tenth deck, the Mixed Practice IV deck. Review cards from this and the previous decks. Spend 10-15 minutes with these cards. 3) In the Magoosh GMAT Math Flashcards, start learning the cards in the eleventh deck, the Mixed Practice V deck. Spend 10-15 minutes with these cards. 3) In the Magoosh GMAT Math Flashcards, continue learning the cards in the eleventh deck, the Mixed Practice V deck. Review cards from this and the previous decks. Spend 10-15 minutes with these cards. 3) In the Magoosh GMAT Math Flashcards, start learning the cards in the last deck, the Mixed Practice VI deck. Spend 10-15 minutes with these cards. 3) In the Magoosh GMAT Math Flashcards, continue learning the cards in the last deck, the Mixed Practice VI deck. Review cards from this and the previous decks. Spend 10-15 minutes with these cards. 5) Continue Mental Math Practice every day. Being relaxed and confident on test day is key to doing well on the GMAT. And the best way to know what to expect is to get information from the actual makers of the test. MBA.com (the official website for the GMAT) has a number of resources to help you know what to expect on test day, including what the test center will be like, identification requirements, and exam strategies. This is an optional end-of-study-plan activity. But you may find that some or all of the pages help you feel more prepared for the test than ever. Editor’s Note: While this article was first published in 2012, we make changes to all our study schedules as needed to keep them updated! I recently came across your study plans and I instantly fell in love with them. My only doubt is regarding the 6 MGMAT tests. Do we still get access to them when we purchase any of Manhattan’s study guides? If we don’t get access to them now, may I know the best way to get all the 6 practice tests? Also, are there any other good practice tests except for the 2 official tests and Manhattan’s CATs? MGMAT made a change a little while ago concerning their practice tests. You no longer get access to all six practice exams with the purchase of one strategy guide. They do have a free test that you can use. Buying a Strategy Guide grants you online access to the first exam in their set of six. However, if you have the desire, time, and funds for a large number of practice tests, a better deal might be to purchase online access to their full set of six exams. But am unsure of whether I should do the beginner or advanced study guide, as when reviewing my incorrect answers they were due to not understanding the fundamentals (grammar and geometry rules) and I fear to skip the basics, but I also fear that by following the beginner guide I will not have the chance to cover the more challenging material needed to get a 700+. Could you please kindly advise me on this. On another note do you have any suggestions on how to integrate the use of the Manhattan SC book, into the chosen study guide? Thank you very much, I really like your online course and the guides. currently I have exactly 4 months to prepare the Test. I’ve bought the Manhattan Complete GMAT strategy 10 books Set. I’m planning to combine this Manhattan GMAT set with the Maggosh 3 Month GMAT Study Guide for Beginners. Do you think that’s a good idea? Could you please advice me about what’s the best way to study with these two plans at the same time? Any insight about it is welcome. Hi Mike, One of the daily tasks in the study schedule is to do practice questions on OG. Would you recommend to do that in the book or online version? the online practice interface comes with an “exam mode” which mimics the actual test. For the MGMAT practice exams, there is now an AWA included. No need to pick a random one from the OG before the MGMAT exam ! Unless you really want to do 2 AWA in a row … Thank you again for this veyr useful study plan ! I am currently a full-time employee looking to take the GMAT in 3 months. I chose magoosh because of the positive reviews, the cost, and this particular schedule. However, after a few days I am struggling to see how this schedule is possible to complete. I am on day three, and I’m already pretty far behind. You say it should take 2-3 hours a day, plus 4-5 hours on the weekend, but if the average person takes two mins to read a page of text, and you recommend reading more than 60 pages in a given day, then right there you have spent 2 hours on just reading. This does not include note-taking while reading the 60 pages, 30+ mins spent on watching videos, and the hour or so spent on questions/flash cards. Is there another schedule that you could recommend, or maybe do you know someone who has adjusted this schedule to be a bit more flexible? I have taken 2 GMAT exams and have gotten 660 on both (Q44, V36 and Q48, V33). I think the reason I didn’t improve was because I didn’t self study correctly. I want to re-start my learning by subscribing to Magoosh and follow this plan. However, I have already done the a lot of the OG questions that this plan suggests. As such, I am afraid that if I redo them I will not get anything out of it because I have memorised the answer. Therefore are there an alternative questions for me to do in replace of OG questions that this plan recommends? Or do you recommend that I do the same OG questions, but this time going through every explanation? That’s a good question, James. And there isn’t necessarily a simple “either or” answer. There’s certainly some benefit to doing problems for a second time. You can often see a concept even more deeply when you go through a question two or even three times. On the other hand, answering fresh questions helps you expose yourself to new ideas, and makes for a more test-like experience. What you might want to do is order some older GMAT Official Guides, such as the editions form 2014, 2015, or 2016. These older guides are cheap, and it may help to get some multiple ones. Although some GMAT questions are repeated form year to year, each edition of the guide has a significant number of questions that are unique just to that guide. Some GRE official books can be useful as well, for a source of new-to-you questions. GRE RC is very similar to GMAT RC and CR, especially int he most current edition of GRE, where vocabulary is less advanced (and more GMAT-like) for the longer RC passages and the paragraph arguments. And GRE Quant is quite similar to GMAT Quant. Ultimately, I’d advise using the supplements I mentioned, in order to get some extra practice with original questions. But I’d also advice repeating some questions you’ve already done. It’s especially good to re-tread questions that you got wrong on the first try, as well as previous questions where your pacing was poor. I am planning to start de 3-month program. What is the estimated time per day that I should have to cover all items? I am planning to study in the mornings before going to work. Where can I find the explanations of the Diagnostic Test? I purchased the eBook for OG2017. Does it matter if i have the eBook or the Paperback? I think the study plan needs to be updated a bit. For example, see week 1 day 2 where it says “watch Magoosh lesson videos from the beginning of the Verbal section up to, but not including, the CR section” whereas in the list of lessons, there’s some 70+ videos from beginning to the CR section (in which i believe it’s inhumanely impossible for one to finish in one day). Or am i wrong in this case? I hope this clears up any confusion about that day of the plan! Has this study guide been formatted in an Excel Document and/or google spreadsheet yet? Hello, I see this was written in 2012, any chance you guys come out with an updated version for 2017? I have started studying GMAT for about a month.I received coaching from outside.But i was not satisfied with the results I got in practice tests.So i got a Premium Magoosh subscription and I want to go through my preparation with one of your study plans.But i am a little confused as to what study plan should I choose.I want to take my exam in two months from now. Any suggestions? I have today itself subscribed to premium membership. I am planning to take GMAT in February, and have a very tight work schedule. Which plan should I follow? Does GMAT 3 month plan for beginners cover the advanced practice as well? I have a really hectic work schedule, but I really need to crack GMAT as well. Just starting but don’t know how to fit in everything. I am weak in verbal. Too many questions, but a little direction on how to start will be really helpful. Please suggest. Yes, if you’re just kicking off with your studies, I would recommend the 3-Month GMAT Study Schedule for Beginners. It will help you build a strong foundation in both Verbal and Math before diving into more advanced material. Note that “beginner” doesn’t mean your skills are those of a beginner. Rather, it means that you’re a beginner in your studies. Also, given your hectic schedule, please note that you can adapt the study schedules as you please. I started studying for the GMAT on my own for about two weeks until a friend suggested I use Magoosh to better help me prepare for the exam. Studying on my own was okay but now that i purchased Magoosh. I can really see myself understanding the information better. My exam is on November 5th, I’m following the 3month plan because I know I need some refresher with the content but I’m nervous that I won’t be able to get through all the material before my exam. I was thinking on moving to the 1month (daily) but I’m afraid that It might be too much to learn in a short amount of time. Should I just stay with the 3month plan and double on the days? Any suggestions? I started studying a couple of weeks ago, following the beginners plan I find the problems in the OG very easy, I have not passed number 48, but I feel they are not challenging enough, unlike in Magoosh where I find problems more difficult (I use the adaptive option to practice). Do you think is because I should do more problems in the OG and as I move forward the difficulty level increases? what do you recommend? The GMAT OG isn’t adaptive, so the problems won’t become increasingly difficult as you move through the OG. However, you definitely will start to encounter some difficult problems as you keep moving through the OG– they’ll be mixed in with the easy and intermediate problems. One other thing you might want to do is go through the official online question sets that come with the book. You can access them by going to gmat.wiley.com and using the access code from the inside back cover of your OG. These online question sets aren’t adaptive either, but Wiley does have a feature where you can select questions of a certain difficulty level. 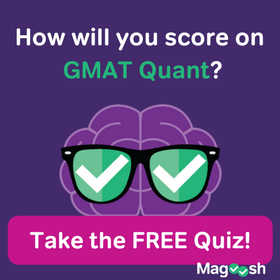 You could focus just on hard official GMAT questions with this feature. The OG 2017 is pretty new, which is why the change wasn’t reflected in the study schedule. The versions are similar, and you can follow the 2017 guide even though the study schedule mentions the 2016 one. Just be aware that there are some corrections that you must be aware of for the 2017 version. I am a premium member . How will you support on OG 17 material ? via mail ??? Background: I just graduated from a state university this May, and now work full time in IT project coordination for a fortune 100 company. I graduated with a 3.43 GPA and studied business with concentrations in Finance and Information Systems. In conclusion, I don’t remember ANY math outside of the finance world, and consider myself starting at ground zero. I am much more confident in the qualitative department, but still hardly confident at that. I have already purchased the OG 2016 Guide, and the 10-book MGMAT 6th edition set. I plan to take the GMAT in about 10.5 months from now (trust me, I need the time to study). Congratulations on graduating and getting a great job right out of school, Gabriel! Doing a 3 month beginner schedule followed by a 3 month advanced schedule is definitely one route you could go. You could also probably go for our 6 month intermediate schedule, followed by the 3 month advanced schedule. For that matter, you might want to start out with our three month math focused plan, then go to our three month Verbal plan, and then go on to our three month advanced plan. There really are a lot of different approaches you could take to this. as you weight your many good options, keep looking at our main GMAT study plan page, where every plan is linked. If I follow this plan exactly, will I finish all the practice question in Magoosh and OG ? I have the OG 2017, can you please tell me where can I find the video explanations for the questions? First of all, thank you for all those articles. It’s very helpfull to prepare the GMAT. In this 3 month GMAT study schedule, when I have to do questions (PS, DS, SC, CR, RC), should I use a timer and stop the question above 2 minutes in order to be close to the real GMAT and train the closest; or should I take more time and try to reach the correct answer ? Good question! If you are early in your studies, careful reading and depth of study is more important than strict timing, and I would suggest not keeping yourself to a 2-minute limit like that. As you progress and get stronger, imposing timing can help, but I still don’t recommend holding each question to 2 minutes. Instead, set up a section (or half section!) of practice problems for yourself and work within the more free constraints of the test. That means that you might sit down to do 20-21 verbal problems in 37-38 minutes (a half verbal section). Just a quick question. I am following the 3 month GMAT plan for beginners and I am confused with one thing. When you guys say, do 10 PS or do 15 DS questions – do you guys mean the PS/DS questions related to the videos that we cover on that specific day? Like for example, If I just finished watching videos on Algebra and Geometry – Do i select questions related to Algebra and Geometry only? Or should I just start practicing random questions on Magoosh and OG16? I’m happy to respond my friend. 🙂 I am going to ask you: did you read the “NOTES” in Week I, Day IV? I knew folks doing this study plan would have this very question, so in the second note under item #3 on that day, the very first time in the plan that students do Magoosh practice questions, I give a detailed answer to your question. I simply knew lots of students would be confused on this point, so I spelled everything out in detail in that NOTE. The short answer is: you should not focus your practice on what you just learned; instead, you should do random questions. For more of the logic about why we recommend this, please read that NOTE in Week I, Day IV. Another quick question, do you guys have recorded videos of OG16 as I am following the study session with that book? Is there a PDF version for the beginner study plan? We haven’t yet made PDF versions of the GMAT study plans. It’s a great idea, though – thanks for sharing! Thanks for some really great resources on studying for the GMAT. I subscribed to the 1 year premium plan, and its the best study material I’ve come across! I just had a quick question, with regards to the OG2016, would you be publishing the video explanations for the questions in that book as well? We’ll be publishing a page soon for the OG2016 referencing the correct numbers for the questions. What is the best way to get the Manhattan GMAT material? Is it necessary I purchase the books or can I just get the online access? Does purchasing 1 of 9 get you the same access? This would be a steep discount. Once again, you could buy any one of these MGMAT books, and you will get the full access to the six MGMAT CATs. Same access with any volume. Couple of days before I subscribed to Magoosh premium product and went through the 3-month study plan. As I see in the beginning, the 12-week plan shall be updated in coming days. Could you confirm whether the above plan is the updated version or old version? If it’s the old version, should I wait for the updated plan? That’s perfect timing… thanks for the update ! I’m a non English speaker who wants to take the GMAT exam in 3-4 months time to apply for a MBA masters. According with some universities I would like to apply to I need to get 680-700 points but I haven’t start yet. Do you think that score is achiable? (I currently have a full time work). I’m an engineer so I guess that would help with the math part. Which plan would you recommend for me? I just started the 3 Month Study Plan for Beginners two weeks ago. Since you guys will be updating the plans in about a month, will I be able to pick up in the new plan at the same spot that I was at in the current one? The updated study plans will be similar to the current versions, but different enough that it would be challenging to move seamlessly from, say, week 4 in the current plan to week 5 in the updated plan. I’ll be sure to keep the current plans available for another 6 months or so, so that any student who wishes to stick with the plan that he/she started with can do so without any issues. My advice would be to keep prepping with the study plan that you started with. My even better advice would be to look through both plans (current and updated) carefully, and figure out how you can adapt the updated version in a way that would allow you to move from the current version to the new version without missing out on any topics. That way you can use the updated materials, and just adapt them based on the prep that you’ve already done. Best of luck with your GMAT prep! Quick question, is there an easy way I can print off the study plan or do I need to come back to the site every day to see what I need to do on that date? I see that Official Guide 13 is mentioned whereas the current one is Version 15. Does this study plan needs update or is it valid except the version of the official guide. Thanks for your response. We actually will be updating the plan in about a month for other reasons, but the upgrade in the OG doesn’t make a shred of difference for this plan, because physical hard-copy books are identical. You are quite welcome, my friend. 🙂 Best of luck to you in your studies! Hi Mike – I’m just beginning my GMAT preparation. It looks like there’s a newer version of the OG – 2016 (black cover). Should I be buying that version instead? Will I be able to use that version for the Beginner study guide? I haven’t seen the OG2015, but if the numbers of questions stays about the same, there shouldn’t be any problem using this new edition with the schedule. I wanted to ask you, what are the differences in the study plans between Plans A/B/C/D, I understand the main thing. But if you get down to the specifics. Will choosing the wrong plan make a significant change? Is it correctable half way through it? I’m happy to respond. 🙂 If you choose plan A, there’s no loss: you will see everything, and all the information you need to score above 700 will pass before your eyes. The only problem is: if, say, you are really good at math, plan A might bore you, might waste your time, reviewing what you already know thoroughly. That’s why the other plans were created. If you have any doubt about which plan you should follow, just follow plan A. If you follow plan A, and a few lessons are easy, just skip ahead to the lesson summaries, and only watch the full lesson if there are points you don’t get. You can “micro-tailor” the plan to fit your needs, without switching plans. Don’t put much effort and anxiety into picking the right plan: just pick one and get to work. Be much more concerned about how to bring the very best of yourself to each and every moment of studying: that’s where your focus should be! I am following the study plan and noticed that whenever it tells me to watch the math videos…it doesn’t specify which math videos…should i be watching them in order? first DS and then Fractions? I’m happy to respond! 🙂 My friend, we put them in that order for a reason: later lessons depend on earlier lessons. Yes, by all means, watch the video lessons in the order in which they are listed. Thanks for this plan, I think it will help me plenty in achieving my 600 + score. I have one question though, how do you choose the practice problems from the dashboard when you are in the first or second week of studying – do you select custom practice and select for example only arithmatic questions ? This is hard, because we know you will make mistakes at the beginning, but making these mistake and learning from them is a vitally important part of the overall learning process. Do all topics whenever you practice. First I want to say I very much enjoy Magoosh approach to teaching for GMAT. This is my second week studying and I’m following the three month plan for begginers. Although it says it’s only couple if hours a day I’m already behind and I study at least 4. Also I worry that I’m not getting much practice as the videos and reading takes a lot of time. Have you seen students getting a 700 studying 3 month from a beginner stage? Or is this just unrealistic? As we say in the “note” to Resources, #9 — many folks find that the assignments take 2 hours, although some find that it takes more. Apparently you are a student for whom it is taking more, at least in the early stages. You may have to use a little more time on weekends to catch up. Everybody is different: trust your own style of learning. Thorough is better than quick. You are quite welcome, my friend. I wish you all the heart in the world! I am thinking about starting the 3 month for beginners study plan. I have the MGMAT books already (older edition)…do you think it would be a good idea to incorporate this into the study plan? I see that you have done it for the advance plan but not this one…just wondering why? In this plan, one watches ALL the Magoosh videos. In the advanced plan, folks watch very few Magoosh videos, so there’s more time. It’s purely a time issue. If you feel you can follow this plan, doing full justice to all parts of it, and still have the time to study the MGMAT books with all the focus & depth that they deserve, then by all means, go ahead! Use the MGMAT books! Just remember — covering several sources superficially is not as valuable as learning the material once in depth. Use more materials if you have time, but be careful not to sacrifice quality of studying for quantity. I’m happy to respond. 🙂 The one-month plan keeps an intense pace. I would say: follow the Mon-Fri part of that one-month plan at half pace, spreading each day’s work over two days. That will allow you to everything more thoroughly. For the weekends, buy at least on of the MGMAT books, so you get access to their CATs, so you can do additional CATS on the weekends, saving the GMAT Prep for closer to the end. I just started the 3 month GMAT study schedule for beginners and I bought the OG 2015 to use it whenever the schedule asks me to do so. In the second day of the first week of the schedule, it says “Read the introduction to the Problem Solving section, and do 10 PS”; I checked the book and the Problem Solving section is numbered “5” and is starting at the page number 148, there are only 2-3 pages before the section starts with the practice questions; my question is that by saying “Read the introduction to the Problem Solving section…” do you mean those 2-3 pages or am I missing something here? Yes. It’s not much to read. Remember, this is a plan for “beginners.” I wrote this plan to accommodate folks who were starting from zero, starting from knowing absolutely nothing about what the GMAT means by Problem Solving. If you already know, so much the better! There may not be that much on those two pages that is perfectly new to you, but it is still stuff you should know inside-out and be perfectly clear about. I was not imagining that reading this or any other “introduction” section would be particularly time-consuming or laborious. It’s quick: just don’t underestimate it. Don’t underestimate anything about the GMAT. Does all this make sense? Thanks for the variety of plans to study. What would you recommend? which plan? should I run through diagnostic test and see how it goes? If you keep all that advice in mind, you will get the most out of this material. I would also suggest perusing the other “study strategy” articles on this blog. I recently bought premium subscription of Magoosh and really excited to start my Gmat preparation from here. I was looking into this 3 month schedule and it looks like you have mixed Quat & verbal. i.e. study both in parallel. I have read and heard from different sources that it would be good to start and concentrate on one section(either quat or verbal). Just confused and wanted to know how effective will be your plan and what are benefits ? I think both Verbal and Quant are topics that need daily practice. To encode information in long-term memory, we need repeated exposures, and daily practice is the best way to guarantee that you will see each thing as much as possible. I think folks overestimate how much they will learn & understand & remember, and don’t recognize how much the repeated exposure will help them. Also, I do NOT want folks practicing, say, just Verbal, and getting in a “verbal mode” — I can’t do Quant right now, because I’m in a Verbal mode. I don’t want people to run the risk of developing “modes” like that. I want students to develop mental agility — every day, leaping back and forth between Quant & Verbal, so that on Test Day, when the test makes the student move immediately from an intense Quant experience to an intense Verbal experience, the student is very comfortable with that challenging transition. It’s definitely harder to practice this mental agility as you are also learning the content. It absolutely would be easier, less work, to focus just for a time on Verbal, then just for a time on Quant. I think some tutors and companies, in an effort to gain customers, placate them, offering them options that are easier and/or more comfortable, rather than options that are better for them. I am a teacher: I want my students to learn deeply and understand deeply. When I designed this, the question uppermost in my mind was not, “what would feel comfortable or easier?” — the question was, “What will help my students learn the most in this three-month interval?” That’s the priority with which I designed this plan. You explanation seems very convincing to me. I think there are people with success using both kind of study plans. I agree with you that, we should have mental agility to take pressure from both Quant and Verbal. Thank you for taking time to reply me. I will definitely work with this plan since this helps to balance the study rather than just the comfort. Most of the time it happens when you keep moving forward, you forget some topics u learnt in past. i need some tips regarding it please. I hope this helps. Best of luck to you! I just started my preparation with the 3 Month GMAT Study Schedule for Beginners and I plan to write GMAT in October. I wanted to know if there might be any full length paper available which I can attempt now to have an idea of my current score range without preparation. I do not wish to waste any full length papers as there are limited full length tests available I will need them after completing the entire 3 month schedule. Look forward to hear your views on this. You will notice we give the Kaplan books a mediocre review, and we pan Peterson & Princeton Review. Obviously, we don’t consider any of books particularly good for your overall prep. Nevertheless, any of them would do for a cold-sitting test at the beginning of one’s study plan. Find one of those for an inexpensive price, perhaps used. Take one of the tests inside without any studying, and that will give a good enough estimate of your starting range. Dear mike, after most of the video lessons, there is practice tests and although i have been reading from OG and listening the lessons, my results arent satisfactory. Its pretty devastating for me and very demotivating. Is there any way i can overcome it and get good results in practice tests nezt time because i believe i fully understood the topic but still i get poor scores in practice test. Please advice. I was wondering if it is a plan for beginner how can I solve all diagnostic questions in one night, Although I tried to do that but I ended up with answering 18 question in 2 hours and lots of things that I didn’t know at all and I am really nervous right now and can’t stop thinking that I wont be able to be prepared in 3 months! The important thing is to learn thoroughly from your mistake. That is how you will make progress. Follow this plan faithfully, and you will improve. Dear Mike, everything is working fine till now. sorry for bothering you again & again. I just wanted to ask that in my study plan, i have been asked to read the Math Section first 20 pages. In those pages, i will be reading regarding Fractions, Integers, Decimals etc etc. For the sake of my own understanding other than OG books, can i go through the video lessons of the topics i am reading in OG or should i leave it for later use. I find listening to the topic & watching video lessons more interesting than to follow the book. Kindly advice. Please confirm if i should watch the lessons videos while covering the topics from OG as i feel more comformtable & easy enhancing my math skills from watching lessons than reading a book. I’m happy to respond. 🙂 My friend, the point of a study plan is not be comfortable. The point is to stretch yourself and learn as much as you can. I’m glad you find the videos enjoyable and helpful, but force yourself to read as well. It’s another form of learning, and it takes work. Work is not comfortable, but it will build deeper connections in your brain. Also, make sure you are watching videos and read about different topics — that will also build connections. Remember my friend: the mediocre student says, “I don’t want to do X: can I just do Y?” That kind of thinking leads directly to mediocre results. The excellent students says, “I’m going to do X even though it’s challenging.” Excellent means pushing yourself and challenging yourself in as many ways as possible. Few people can sustain excellence, which is why few students perform with excellence. These are my hopes for you, my friend. My friend: I’m sorry, but this study schedule is intense, especially for folks who are non-native speakers of English. It sounds as if speeding up would be a bad idea for you, as you would have to trade depth of understand for efficiency. I wonder if you can rethink your plan of taking the GMAT in only a month. A month is a VERY short amount of time for someone who is not a native English speaker to go from no knowledge to an elite score. If you can carve out more study time for yourself, I think you will find the three-month plans have a more relaxed pace. Even if you can add just one more month, so you have two months, you could follow this plan at half-tempo, which would make it much more amenable. Does all this make sense? Hi mike, i have brought premium plan of magoosh. Starting from introduction section, i felt so contented. I have selected three months of study plan as i am a beginner and i am starting from a scratch. Would this plan be beneficial in nailing Gmat score or should i consult other guidelines as well because on first day of study, giving a diagnostic test is giving me a monster as i have no clue about math section. Kindly advice. I’m happy to respond. 🙂 My friend, stick with this plan. Just follow this plan faithful. If you follow this plan, everything you need for success will pass before your eyes. Your primary focus should be: what do you have to do so that you learn and remember and assimilate everything here? The more deeply you learn, the more successful you will be. Best of luck to you! Thanks for the reply Mike, it was helpful. Actually i am starting from the scratch so i seriously didnt have any idea. For now, i am following the plan religiously. Expecting to get good results. I have purchased the premium membership from Magoosh. I would be following the beginners plan. I wanted to know is there a way to get videos in order of the study plan suggested here. For Maths .. so is this the way I should go about it. I’m happy to respond. 🙂 Forget about the suggestions on the dashboard. Go the “Lessons” page and follow the recommendations of this study plan. Basically, you are going to follow those math lessons from top to bottom according to the order on the lessons page. Just signed up for the Magoosh premium subscription. Looking forward to see if the 3 month GMAT Study Schedule will enable me achieve my target. I was wondering whether you might have a GMAT Windows 8 phone application? I’ve only come across the GRE App. Hi Mike….I have just started my GMAT Prep and will be giving exam in the month of September (9/15)..I just love the Magoosh Videos and most of all the length of them…U people have understand the mind psychology and made them quite simple and short which makes them more educative…As of now I have one request that if you can make these study plans in excel format and upload it on the website than it will be easy for us to manage the schedule well and we can track our progress by simply downloading it and saving it and then highlighting the things we have completed… I hope you will consider my request…thanks for the support…cya again…. I certainly will let the marketing department know about this request. Thank you for sharing your thoughts. Can you please publish the schedule in Excel format for easier tracking purposes. Thanks for this comment. I will mention this to the folks in the Marketing Department, and we will look into the possibility of making the schedule available in that format. Following 3 month study plan for beginners and taking practice questions in Magoosh and in OG, it is obvious that you get bad results in the beginning since practice questions cover all the topics while you are way behind in terms of topics covered by video. Example – based on a schedule you could cover video lessons for Geometry only during 4th week of studies, while you get geometry questions from day 1.
by the time you have watched all video lessons you have answered almost all questions, majority of them incorrectly since questions preceded video lessons, as a result your dashboard score looks bad. I’m happy to respond. 🙂 As a matter of fact, that is intentional. You see, while it’s not fun, making mistakes is potentially a very powerful part of learning. One of the standards of a truly excellent student is: never make the same mistake twice. For every single question you get wrong, you need to delve into it, understand as much as possible the mistake, and do whatever you can do to remind yourself so you never repeat that particular mistake. By the time you get to the lessons, you will have already learned from a handful of mistakes related to that topic, and that will allow you to learn that material all the more effectively, in much greater depth than if you had just approached the topic cold. Don’t allow yourself to get stuck in the frustration. Right now, at the beginning, getting lots right is not the point: the point is learning as much as you possibly can. If you are faithful to this level of engagement, you will see huge improvements over time. Yes, it may be that your dashboard does not look pretty for a while, but who cares? Nobody else sees your dashboard. Furthermore, if you really learn from your mistakes, then that means if your dashboard shows you that you got, say, 100 questions wrong, then that’s 100 new things you should have learned and of which you can be proud. This plan does not coddle you. The GMAT will not coddle you. Business school will not coddle you. A career in the business world will not coddle you. If you want to strive on the GMAT, if you want to be successful in this life path, you need to bear the current discomfort for the sake of improving yourself over the long term. You need to be brave in embracing small failures and receiving the feedback that allows you to improve and grow. You need to take deep responsibility for your own progress, finding a way to turn everything you experience into something that makes you stronger and wiser. Think about it: the folks who are afraid of setbacks are the ones who never go anywhere in the business world. Don’t let that be you: strive for excellence! Request you to please publish an Excel version of the same for easier tracking. Thank you for you suggestion. I will mention this to the folks who write the code. I will say, you can download the Google Docs as a Word doc, and from there, you can paste everything into Excel. Alternately, by writing notes and using different colors, you probably could track your personal progress reasonably well simply by making you own changes to the Word doc. I hope all this helps. I’m having some difficulties making sense of the math. I am keeping up with the schedule and watching the videos, but when it comes to the math questions — DS, PS — I’m really floundering. When I use practice questions, I often times find that for every 10 i do, 7-8 are wrong! It’s as if none of the lessons are sticking. Do you have any tips or pointers? At this point in time, to do 30 questions is taking me significantly longer than the allotted time frame due to the amount of time that is spent watching the videos to find the right answers! I’m happy to respond. 🙂 Math is very tricky and, in some ways, unforgiving. For example, suppose an individual GMAT math problem requires knowledge of, say, twelve different math factoids to solve it; if we know only eleven, we get the calculation wrong, and probably are drawn to one of the trap answers the test has waiting for us. Especially when you are learning, you have to have tremendous perseverance — for every math problem you do, right or wrong, watch the explanation video, read the text explanation, and hunt rigorously for each and every fact of which you are unclear. For many of the fundamental math factoids, it’s not enough to see it and think, “Oh, yeah, I remember that.” You have to know it so well that if someone wakes you up with cold water in the middle of the night, you are absolutely certain of it. It would be good to understand your fundamental thinking style, and how to compensate for it in doing math. You may find it helpful to read through all the math articles on this blog: hearing the concepts explained differently from the way the videos explains them may help. post the question and post what you did, how you approached it, what you understand and what you don’t understand about the answer. Ask as detailed a question as possible, because mathematics happens in the details! You can ask the experts there to explain it to you. I have close to 7 months before I take my GMAT. I have started off with 3 month beginner’s schedule and I’m planning to take up advanced schedule once I’m done with that. I have a question though: is there a specific reason in not following a sequence while reviewing Magoosh videos? For eg: on day2 we start of with CR intro video and quickly jump to RC videos the next day. This is because focusing on one thing at a time is not a good way to study for the GMAT. Think about it. On the real GMAT Verbal section, you will get a SC, then a CR, then another SC, then an RC passage — you have to get used to switching gears quickly, so this plan tries to get you used to that as soon as possible. Thanks Mike. Makes perfect sense. You are quite welcome, my friend. Best of luck to you. on 3 months programme you advise to take the 2 full length GMAT on the GMAC software for 3 times each. they are CAT tests, however is there not the risk some of questions will be the same? plus you advise, once completed, to check the answers, however these tests not coming with any answers. How I can check the answers, on the blog? then you advise also the Manhattan CATs. these ones are CAT, computer based and come with answers. Please can you clarify which ones are the best? I am still not sure if following the 3 or 6 months programme. 1) The folks at GMAC themselves say that we can take the GMAT Power Prep tests three times. That implies a minimum of repeated questions — they could not authentically recommend a third test if most of that third test consisted of repeated questions. In three testings, you may see a couple repeated by the third test, but it will not enough to impact your experience measurably. I’m not sure why you can’t see you answers: you have to “review” your work, and you can see everything. 2) Yes, the paper tests are not adaptive. We put those early in the plan, just so that folks would get some experience with GMAT level questions. At that early point, question quality is more important than the full CAT experience. 3) the MGMAT CATs are probably, right now, the best CATs apart from the official ones, but official material is always the best. I would say: make your decision about 3 or 6 months depending on how much time you have and how much sustained focus you can muster. If you can devote a solid six months to GMAT preparations, then by all means, do so! I meant, in GMAT paper test and in GMAT Power Prep tests answer explanations are not included. do you advise to ask explanation on the blog? Just about every single GMAT Prep and GMAT Paper Test question is already listed somewhere in GMAT Club, so don’t start a new thread: simply find the question already posted. If you are not satisfied with the explanation given there, you can always send me a private message through the GC system, and I can provide a more detailed explanation there. You are quite welcome. Best of luck to you, my friend! Thank you so much for your kind support and your thorough answers of all questions. I am a beginner with GMAT and I intend to take GMAT test in next 3 months. Then I almost decide to use Magoosh 3-month beginner plan. I checked Magoosh schedule and saw that you recommend only OG and Magoosh ebook. So, is it enough to learn and get high score (700+) (assumed my ability is capable)? Do I need to dig more into each area with above suggested books? Hope to hear you soon. Thank you so much. In order to use this plan, you need to purchase the Magoosh GMAT product. If you purchase that, then that + the OG will present all the information needed to get a 700+ score. If you feel you have even more time to study, then I would suggesting adding the MGMAT books: those books are excellent, and they will explain the same things in another way, which is always helpful for deepening one’s understanding. I don’t have a high opinion of some of the other sources you mentioned. Magoosh presents all the information, as do other sources, but whether you can achieve an elite GMAT score depends on how deeply you learn and how thoroughly you remember. It’s good to pay attention to how you learn and what makes you remember things. I really need your advice. I just signed up for premium membership with Magoosh. I am planning to start my MBA this year or early next year. My plan is to take GMAT in month of August so that gives me good 4 months to prepare. I have not done math since 7-8 years and English is not my native language. I really want to get this nailed down and get good score. Can you please advice on what would be my starting point for week 1 day one they say to take diagnostics test but truly speaking I am scared as taking test right away as I know I am not going to do well and this will make me nervous as I don’t know lot of things how am I going to get through this. Can you please provide your thoughts on which plan should I follow. I need help in both Math and Verbal and I have 4 month to prepare. Being scared or nervous is a waste of time. This is about your life. You have serious work to do. Take the Diagnostic and get to work. One recommendation I would make: in following this plan, double the rate at which you watch the Magoosh lesson videos, and when you finish all of them, about halfway through the plan, begin again at the start of each series. That way, you will see every video twice, with several weeks between the two viewings of the same video — that will help you learn much more deeply, thereby strongly enhancing your chances for success. Thanks for quick response and giving me that boost. I think I needed that and I know once I start it will all start coming together but I will have to go that extra mile. I have one more question when you mentioned to double the frequency of videos are you referring to from 3 month plan combine two days of video into one day or from lessons video just go down the list? Everything else in this plan (practice questions, etc.) you can simply follow as is, but for the lesson videos, watch two days worth of videos each day. Thus, say, by the end of Week Two, you will be at the end of Week Two in terms of practice questions and everything else, but you will be at the end of Week Four in terms of how many lesson videos you have seen. At the end of Week Six, you should be done watching all the lesson videos, and you can start the cycle over. I have subscribed Magoosh’s premium package yesterday. I am planning to give my gmat 3 months from now without fail and wants to score 700 plus. So, can you please suggest if 3 month GMAT study schedule for beginners would be apt for me? And also what else will be required to score 700 and plus? I just signed up on Magoosh and I’m not sure yet which plan is best for me. I figured that a 6 month plan is too long for me, despite the fact that I’d have sufficient time. I thought that starting with a 3 month plan and working on my mistakes after that would be best for me. My strength is definitely my quant skills. I have excelled in math tests and competitions throughout my life. However, I think the verbal part is going to be my weak spot, especially because I’m not a native speaker. So do you think I should go for the verbal focussed plan? Or just decide that after the first test. It sounds as if the Verbal-Focused plan was designed personally and specifically for you. I would highly recommend the 3-month Verbal-Focused plan for you. I took my GMAT on 7th Jan and scored a 590. I had taken GMAT in 2011 and had scored a 590. This time, i had enrolled for an online course and still landed up with the same score which is indeed very disappointing. I would like to take GMAT again and my target score is 700. Would request you to advise whether to take it in a month, 3 months or 6 months. 6 months i feel will be too long. Fundamentally, the question is how much passion, how much drive do you have for this? How much do you really want it? Do you have the passion to sustain intensity and focus through a six-month period? If you do, then you will be able to make this substantial improvement. I would recommend following the six-month plan with this spirit. I am planning to start B school next year and would like to get your thoughts on whether the 6month plan or the 3month beginner plan is better. This will be my first time taking the GMAT and I have been out of school for about 8 years now. I am a director at my firm with long hours but there is still some flexibility there. I have already been accepted to an EMBA program but I didn’t receive any scholarship money so I am taking a year to seek out alternative options. I would like to get an elite score on the GMAT in order to potentially tap into scholarships available at other MBA programs I’m interested in. Based on my situation which do you think will give me the best chance at an elite score? Thanks. My friend, if you have the time, definitely do the six-month plan. Learning over six-month just gives more time for repeated exposures and setting information in permanent memory. Also, if you find the pace of the six-month plan is not intense enough, you can always add more material to it. Does all this make sense? Makes perfect sense. Thank you for your response and providing these study plans! Started yesterday. You are more than welcome, my friend. Good luck following this plan — I wish you all the best! I have 39 days before d-day. I have a part time position so I have a relatively more flexible schedule and with a dash of discipline, can devote about 5 hours a day or more. To be safe, let’s say 5 hours, 7 days a week. I took the GMAT 2 years ago and scored an atrocious 530. It is shameful and at some point in the middle of the test I just knew it had gone south. It was part nerves part pressure and part just an innate lack of Quant skills. Could have done better in Verbal, scored around 87% think. Need to boost that, but not worried. Math is my life issue. I have been up and down with the studying and need to conquer this already. So, should I follow the 3 month plan for beginners or the 1 month plan? Please advise. Thanks! Between now and d-day, DO NOT TOUCH a calculator. All math must be mental math. Make sure to add, subtract, multiply, and divide in your head every day. You have to build those mental math muscles. When you say watch all the lessons twice, do you mean the general math Magoosh explain-a-concept teaching lessons OR do you mean the OG Official Solution Videos, or BOTH? I mean the 174 Magoosh explain-a-concept teaching lessons on the Lessons page inside the Magoosh product. Does this make sense? I started studying for the GMAT with the Magoosh premium plan last week and I started to do the video lessons of General Math Strategies and then went on to do Arithmetic and Fractions. Once I got to the questions of arithmetic and fractions I did not do so good and it took me about 5 tries to move on. This worried me a lot and not being able to use a calculator hurts my math ability a lot!! Right now my exam date is March 22 and now I am thinking about rescheduling my exam so I have 3 months to prepare. I am a senior in college so I have to worry about the classes I am taking so time can sometimes be an issue. Coming from a current senior college student on his last semester that struggles with math especially without a calculator and struggles with verbal would you recommend that I reschedule my GMAT exam and do this study schedule? I definitely recommend that you postpone your exam and follow this study schedule religiously. Also, do not touch a calculator between now and whenever you take the GMAT: all math you need to do (balance checkbook, estimate tips, etc.) you should do in your head. You have to practice mental math arithmetic every day, to build that “muscle”. Read the math articles on this blog: I discuss several math tricks you can use to speed up mental math. I am starting the three month beginners study schedule and for day two it says to do 10 PS in the OG and 1 RC. When I do these problems do I need to be timing myself? Is there a 2 month schedule? Alternately, you could compress every three days of this schedule into two days, and it would become a two-month schedule. For the weekends, just drop some of the essay writing weekends. Does this make sense? Can I know how long a video lasts..As I m working I have to plan accordingly. The Magoosh lesson videos vary in length. Most are about 5 minutes long. Some are only a couple minutes long, and some are as long as 8 or 9 minutes. 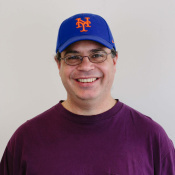 Mike, when you suggest doing questions from OG (i.e. “Do 10 PS questions”) do we just select any questions or should we start from question #1? I know that the OG lists questions in order of difficulty so I just wanted to clear this up. explain the logic of this plan. Does all this make sense? That blog post was EXACTLY what I was looking for. My previous study attempt was a focused approach on topics rather than a random approach. At this time I’ve done 217 (247 questions left) in the math section of Magoosh and 133 (252 questions left) in the verbal section. Would you recommend I reset my statistics when I start following the 3 month plan or should I continue with my progress? Finally, is the “beginner” track suitable for those that have already taken the GMAT did poorly? I did poorly on both sections with verbal being the worst though I did better in the math section. That being said I don’t have full confidence in my math skills so I’d like to work on that as well as verbal and beginner seemed the best route. I would recommend continuing without resetting your stats. If you run out of questions before the end of three-months, then reset your stats, or even better, just do the ones that previously you got incorrect. The “beginner” track is perfect for folks who struggle in both Q & V, regardless of whether they have taken the GMAT before. I want to take GMAT for MBA/Masters. However, I haven’t been in touch with books for past five years. I forgot pretty everything. Every time I try to study, I freak out by the thought that I don’t remember even the simplest things. I am particularly very weak in mathematical skills. So need more focus on that. For English, I thing I can get myself back to track with practice. Please help. (1) follow this study schedule religiously. (2) sign up for Magoosh — because (a) our video lessons give you everything you need, from square one, (b) each question has its own video explanation, for immediate feedback, and (c) if you ever are unclear about anything in a question or a lesson, you can send in a Help email and get a personal response. I am not good in quant, please suggest what topic should I start first. As I suggest in this plan, with the order of the Magoosh lesson videos, start with integer properties. Here’s a blog that summarizes these properties. Hello Mike – Just wanted to check if we do have any Mobile app for Windows phone as well in addition to android and iphone ? I spend good time commuting, so wanted to check on the same. I have Magoosh Premium Subscription and I must say, the videos are very good (based on whatever I have gone through as of now). I’m glad you’ve been enjoying the videos! We hope to have a Windows app available within a few weeks :). Mike, i have 14 weeks to study for the GMAT and plan to use one of your 3-month study schedules. I took the GMAT 2 years ago and did terribly (low 500s). My question is in regards to the diagnostic test you have us start out doing. Is it really necessary for me to take the diagnostic test and slowly go through all the ones I missed? I’m really stressing about the timeline, and i could easily see myself spending a full-week or even two going over all the missed questions and explanations. I’m wondering if i should just focus on reviewing the incorrect math questions and quickly go through the verbal explanations because I imagine that we will cover all the topics anyways later on. Also, read this entire blog careful from beginning to end — there’s a ton here that can help you. Let me know if you have any further questions. The rough predicted score depends on your score now, on how fast you learn, how well you remember, etc. etc. Here is a blog that touches on the issue of score increase: https://magoosh.com/gmat/2012/how-long-should-i-study-for-the-gmat/. Here is another article that talks about different levels of understanding —- https://magoosh.com/gmat/2012/understanding-the-gmat-practice-vs-exam-performance/ —- the more you can push your understand to those higher levels, the better the results will be. If you learn quickly and remember well, your score certain could cross 680 and even 700. Is there a good way to condense this plan into 6- 8 weeks instead of 12 weeks? Well, that depends on several things — how much time per day do you have to devote? If you could do two-days worth of work each day, then you would finish in half time. It may also be that you can streamline — for example, if you are already very strong in math, you might not have to watch every single one of the math videos, for example. The best way to condense this plan would probably depend very much on your particular strengths, needs, and availability. —– Of course, you could also go to the 1 month plan, https://magoosh.com/gmat/2012/1-month-gmat-study-schedule/, and *add* to that, rather than *subtracting* from this plan. Yeah that make sense. Do you know approximately how long it would take for schools to receive my GMAT score? Daniel: according to the official GMAT website, http://www.mba.com/the-gmat/gmat-scores-and-score-reports/sending-your-scores-to-schools.aspx, they say: “The Official Score Report will be sent within 20 calendar days of your test.” I would say — the are SENT within 20 days (often earlier) but that doesn’t take into account the ordinary time for snail mail to travel — that can be up to 5 days to cross the continental US. If your deadline were, say, December 31, I wouldn’t want to take my GMAT after Dec 5, just to be safe. Currently I have 12-15 weeks to prepare. I definitely like the structure of this schedule and want to incorporate the new test format with integrated reasoning. Any suggestions? I have the premium magoosh subscription and ordered the OG 13th edition. I also read the article on changes between 12th and 13th edition and it seems I’ll be able to use the 13th. Thoughts on this as well? Any advice or suggestions would be greatly appreciated! Greg: Definitely get the OG13. The OG13 will give you access to GMAC’s website withe 50 practice IR questions. Find time to do 4 a week from that site — do the questions under time pressure, then read thoroughly the explanations. That pace will allow you to finish all of them comfortably.. Also, read the Magoosh IR eBook, available on this blogsite. As that book suggests, it’s helpful to start looking for IR type material in the real world — graphs & charts & tables in, for example, the NY Times or WSJ or Economist magazine. Look for articles that “integrate” verbal information with quantitative information — that’s precisely what’s “integrated” about the IR. Please let us know if you have any further questions. In Magoosh, when you are on the “Customize your Practice” page, underneath topic check boxes, under the pull down menu where you select difficulty, there are four possibilities next to “Question Pool” — the default is “Unanswered”, but if your choose “Answered and Unanswered”, you will get the question you have already answered, if that’s what you want. Notice also, “incorrect” is another option, so you can do over only the questions you got wrong. Does all that make sense? Let me know if you have any further questions. *3) Go to bed earlier than usual. This is very important folks, I usually scored 760+ om my practice tests, yet ended with 690 because of bad sleep. So make sure you don’t do anything hectic the day before D day and get a good sleep. AJ: Thank you for your kind words. Yes, sleep is definitively important, both during the learning process and especially before the test itself. Good luck with everything.